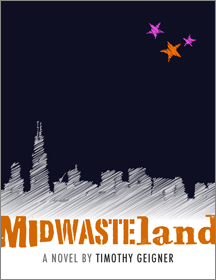 It is the near future in a post-apocalyptic Chicago and Anton Donovan is an anomaly. That is, though he appears to be human in every respect, he is actually a mutated version of a human. There are several differences between anomalies and humans, but the most compelling of these is the anomaly’s ability to manipulate radiation that has been left behind by a long ago waged nuclear war. The humans fear this power and they have instituted a testing process to find and euthanize anomaly children in their cities. The result of this is that anomalies only live in freedom outside of human civilization. Because of a series of personal tragedies suffered at the hands of one of these anomaly enclaves, Anton joins the human military. They think that he is going to help them hunt down his own kind, but instead he is going to use his unique situation to push both sides towards a peace, even as both humans and enclaves alike prepare to wage a worldwide war.